We reimagine and transform our clients’ businesses around their customers, their motivations and needs. With crystal clear understanding of their customers, we optimize every user interaction for ease of use and delight. We are a full service partner who can take ideas from the whiteboard to finished products. Our service has been created with ongoing engagements in mind. We work in an embedded manner with our clients and create processes that work best for each situation. The same team of people will work on your project, retaining the necessary context. Product development is a team effort. 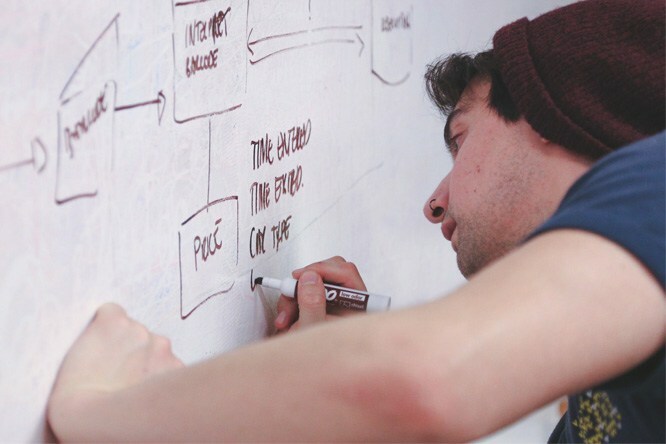 We bring UX expertise to your team of technologists and product strategists. Core Interaction Design is our speciality and is the most important part of User Experience Design. Interaction Design is all about optimizing the user’s task flows and information architecture to help them complete their job quickly and efficiently. Looks do matter. Visual aesthetics has an immense influence on first impressions. Let our expert visual designers craft a distinct, delightful and modern appearance that will help your software stands out from the competition. Prototypes spark engagement. Sometimes that’s what it takes to start a conversation, gain momentum or kick start a product initiative. We can help you build low fidelity prototypes, production quality prototypes or anything in between.